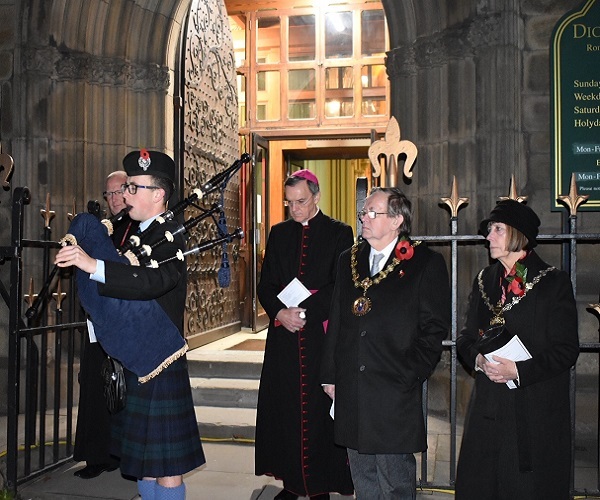 We joined with the other Cathedrals of England and Wales for a nationwide Day of Commemorative Events marking the Centenary of the end of the First World War. 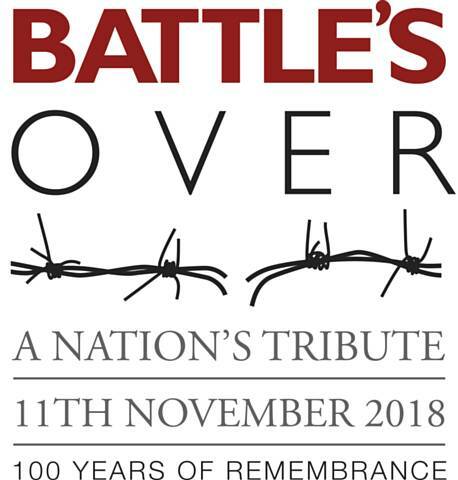 Battle’s Over aimed to use the day to pay tribute to the millions killed or wounded in battle, and also remember those on the home front who endured loss. A number of events also took place at locations overseas, including New Zealand, Ireland, Australia, Bermuda, France, Belgium, Canada, the United States and Germany. We started the day with a moving tribute with a ‘lone’ Piper playing ‘Battle’s O’er,’ a traditional air played by pipers after a battle. Our piper was just one 1,000 bagpipes filling the air in cities and towns throughout the land, before dawn has broken on the 11th November. The day continued at the Cathedral with Morning Prayer and a Solemn High Mass that began with a two-minute silence. A 6.55pm The Last Post was played. 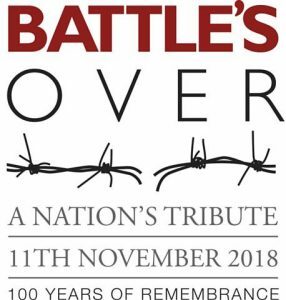 Buglers sounded the Last Post at more than 1,000 locations.The day ended at 7.05pm where the bell of Salford Cathedral rang out for 15 minutes, along with bells in over 1,000 churches and cathedrals throughout the land, in celebration of the end of the First World War and in commemoration of the millions that either died or returned home dreadfully wounded, during or after the war ended on 11th November 1918.